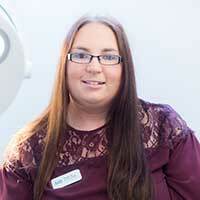 I have been working at Fields since 2000, and I qualified as a Veterinary Nurse in 2004. In 2005 I attended the Royal Canin Advanced Pet Health Counsellor course; I enjoy all aspects of nursing in particular animal nutrition and medical nursing. After many years as Head Nurse at Fields, I became Practice Manager in September 2016. At home I have four working sheepdogs and breed Welsh Cobs.